In general it all started with my mother, Anna. She was born before the war in Odessa. When the war began in 1941, she lost her loved ones during the evacuation – some died, some broke off contact. She was put into an orphanage and there her patronymic [father’s name used as a middle name] was changed on her birth certificate leading to complications with her documents later. After the war, my mother married a Jewish man, our father. Then he died, and my two older brothers left for Israel when it became possible. My mother always wanted to go to Israel and kiss the land of her ancestors. In fact, mother was the inspiration for our move. Although almost blind now, she wants to make Aliyah more than all of us!! I always think of my children and have dreamt of a better life for them. My brothers have been in Israel a long time and they have been calling us to come. I always wanted my children to have the opportunity to live a different life and get a good education. My mother is very old now and has had the dream to go to Israel throughout her life. Ezra took over our worries concerning our move. We have almost become related to them!! They helped us at every stage of document collection and preparation for our consular meeting. They told me where to go and where to find documents about my grandparents. And, when at times it was difficult and it seemed that nothing would work out, they instilled into me the belief that everything would work out and that we would all leave. 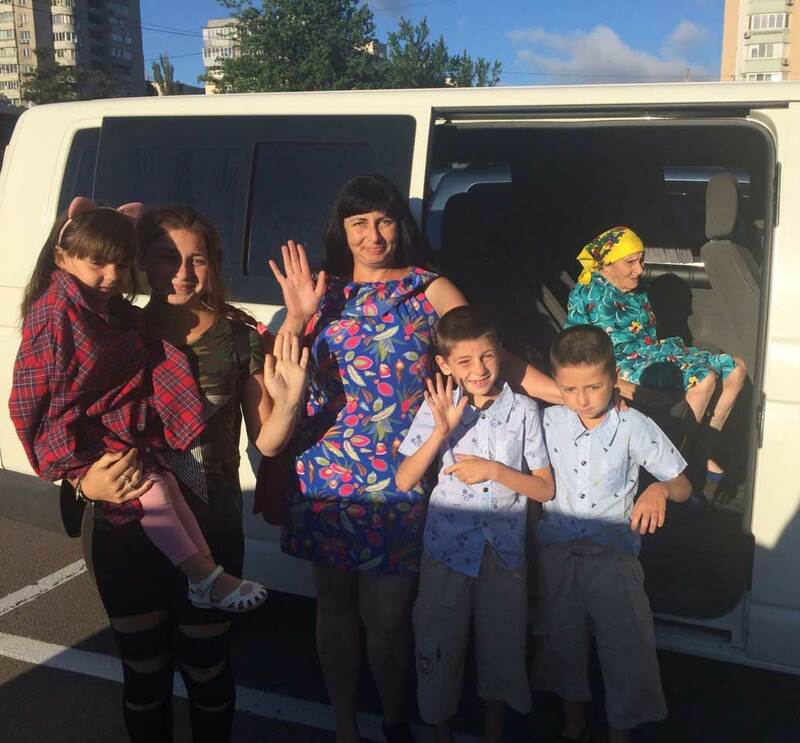 We live in a small village in the Nikolaev region and had to go to Odessa for our visas. It was very problematic, especially for my elderly and disabled mother. Ezra sent a van for us in our remote location and we managed to do everything in one day! I still have three sisters in Ukraine. I believe that my example will prompt them to make Aliyah too. Again, a huge thank you. I could not have done it myself. The difficulties kept us back a long time. Thank you for your support and real help. We have finally realised our dream!